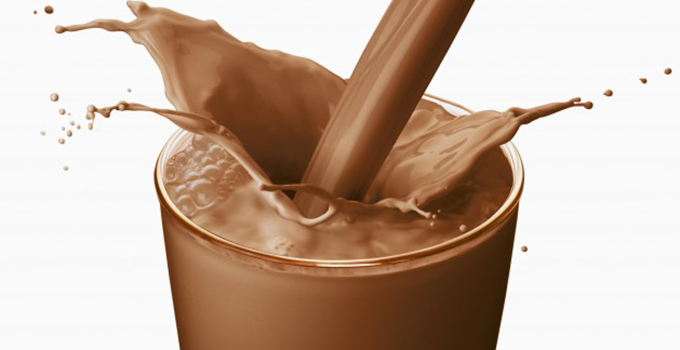 National Chocolate Day | Winners Drink Milk! 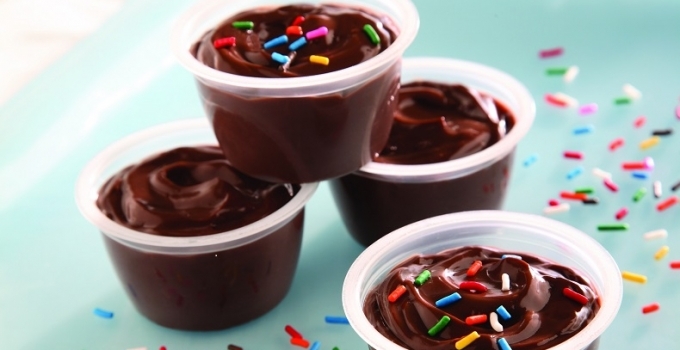 We have our standard holidays to celebrate, and then there’s National Chocolate Day! While not considered an “official” holiday, there is reason to celebrate, none the less. In fact, why keep it to just one day? I don’t! Chocolate has been with us for a long, long time in one form or another. Chocolate comes from the dried and partially fermented seeds of the Theobroma cacao tree. An archaeological site on the Pacific coast of Chiapas, Mexico, had evidence of cacao beverages dating to 1900 BC. There is a lot that goes into making chocolate in the form we are used to consuming, and I am ever grateful to those who figured out the process so many years ago! Here are just a few ideas to get you in a festive mood! Here’s something from our dairy farmers and the Dairy Good Cookbook. Whisk the yogurt, ricotta, sugar, and cocoa powder in a large bowl until thoroughly combined & creamy. Divide the mixture among the six pie crusts. Top with the fresh berries. Note: For a thicker filling, I used honey flavored Greek style yogurt. Note: I was unable to find the mini graham cracker pie crusts, so I used shortbread tart cups. Note: Just to try something different, I added about 1/2 tsp. instant espresso coffee to the filling - yum! If you’re in the mood for a mid-afternoon snack, here’s one to try! Place milk, ice, vanilla, cocoa powder, and caramel syrup in a blender and blend until ice is crushed and mixture is smooth. 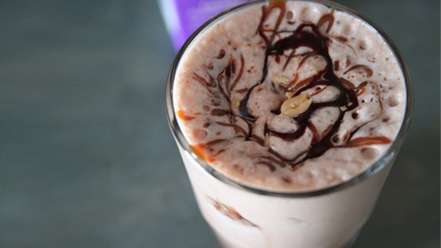 Pour into glass and drizzle with extra caramel and chocolate syrups and add a few chopped peanuts to the top. Since we’re so close to Halloween, it wouldn’t be proper not to include some fun, chocolatey treats! Here’s one of my favorites. 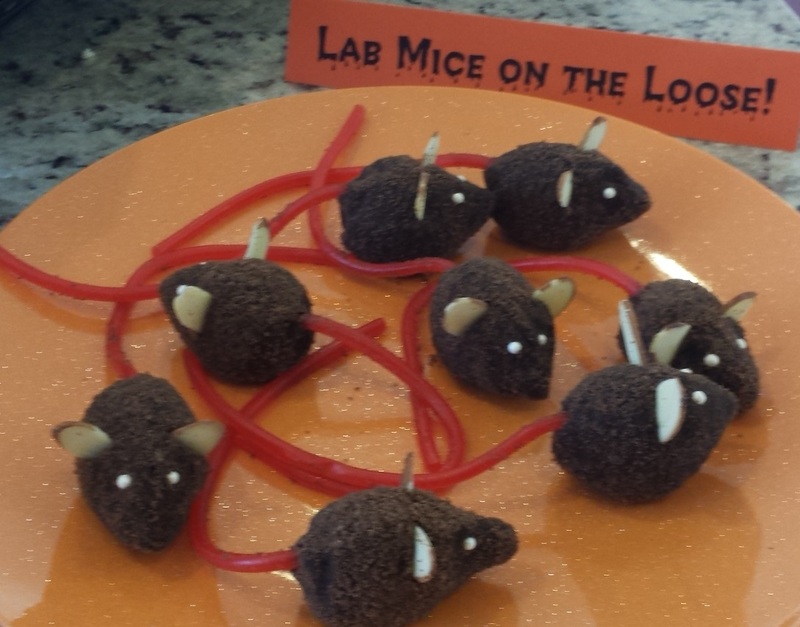 Lab Mice on the Loose! Melt chocolate and combine with sour cream; stir in 1 c. of the crushed chocolate cookie crumbs and mix well. Cover and refrigerate until firm (about 1 hour). Using 1 tablespoon of dough, roll into ball and form a slight point at one end for nose. Roll dough in remaining cookie crumbs (or use confectioners sugar for white mice). On each mouse, press in decorating candies to create eyes, almonds for ears, and the licorice string for a tail. When serving, make it realistic by sprinkling some chocolate jimmies or crushed chocolate graham crackers on the plate/dish. If you’re in a rush, or not a kitchen person, an easy way to celebrate Chocolate Day is to toast the day with a nice cold glass of chocolate milk! Salud!